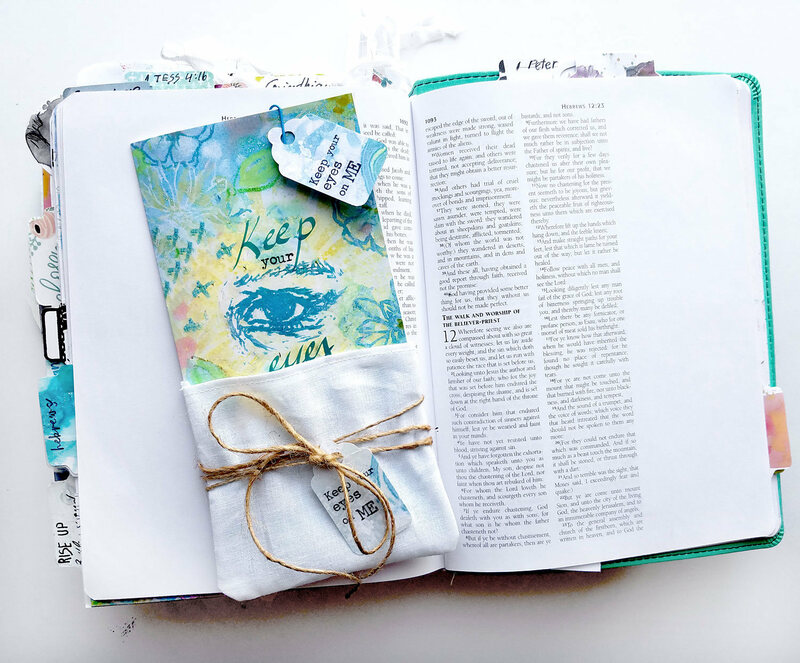 The mini devotional is part of 'Total Trust' series and it is designed to reinforce Trust in God's plan and timing, along with beautiful artwork created by artist Ingrid Blixt (Ingrid Art Studio). 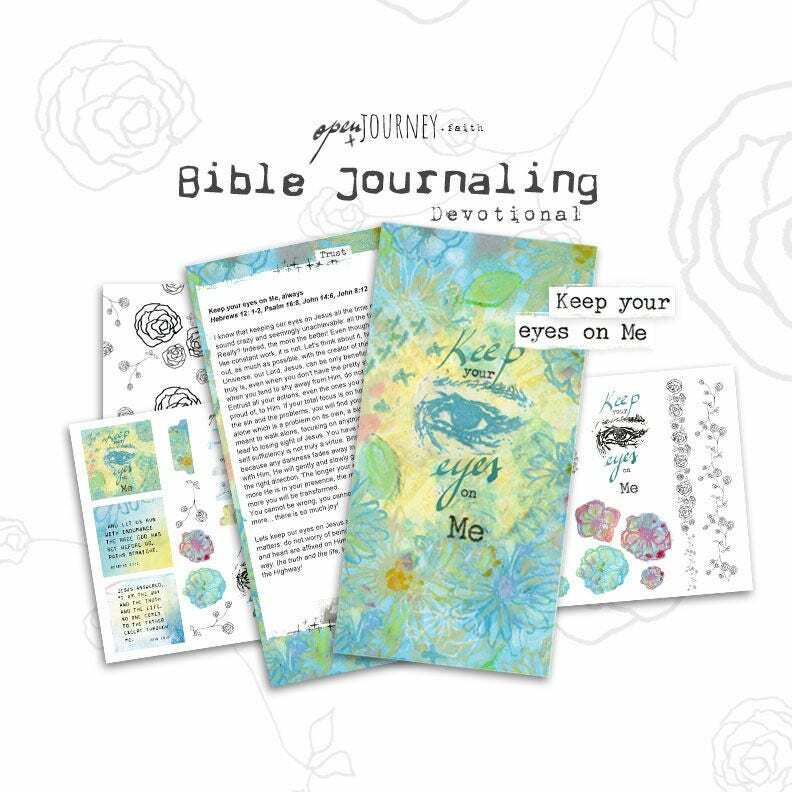 The overall size of the kit is 8'x4" and can be used in your journaling Bible, faith journal or it fits perfectly in a traveler's journal as well. 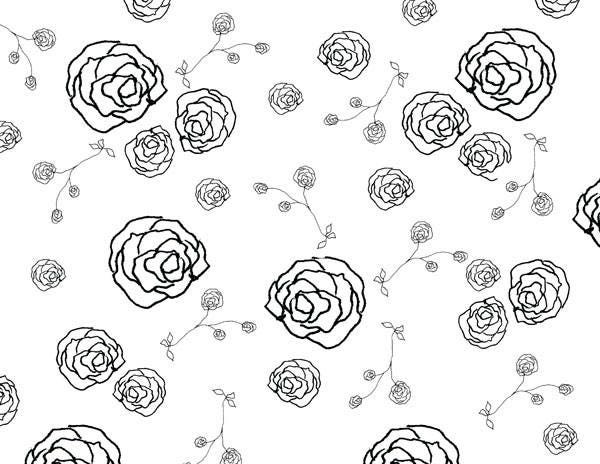 Can also be used for other creative projects or card making and remember, it makes a wonderful gift! 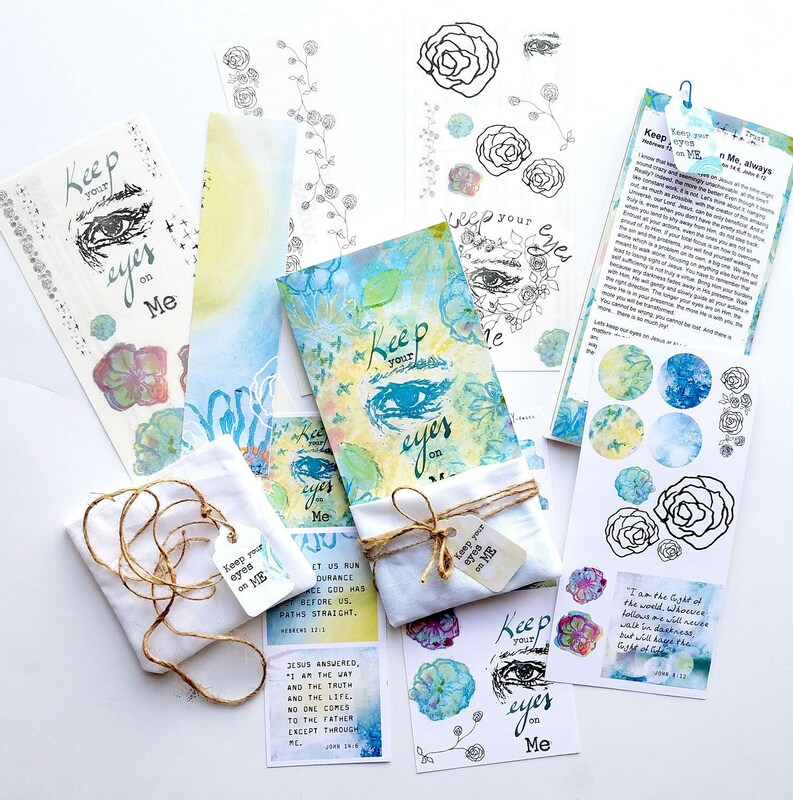 + 3 coordinated artwork panels on card stock paper (two 8x4 and one 2x8) including coordinated graphics with the devotional and scripture verses, lettering, three 2.5"x 2.5" illustrated cards with bible verse prompts, circles and tabs (!) 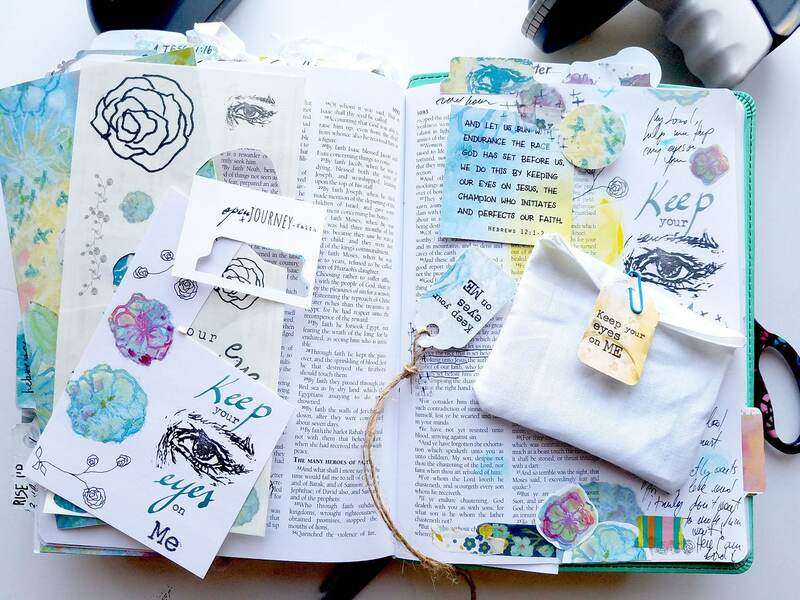 to use with your TAB punch and 1 1/4" circle punch to mark your bible pages, faux washi strips, lettering and titles. + 3 coordinated artwork panels printed on Clear sticker paper to create transparent stickers which perfectly integrate on your page. 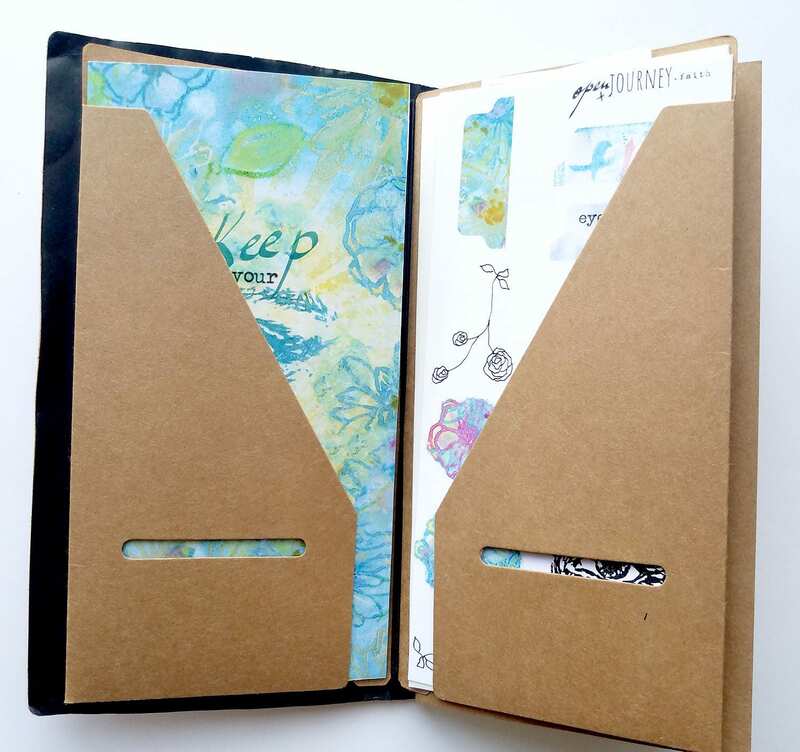 (two 8x4 and one 2x8) including art, faux washi strips, lettering and titles. + white muslin pouch, measuring 4x4. 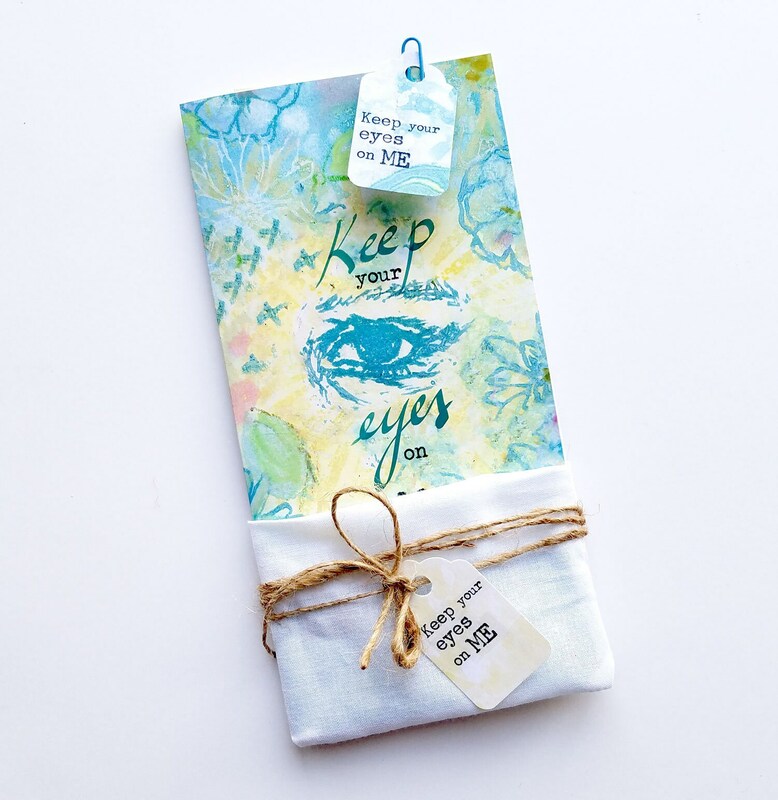 The devotional kit comes in this simple white muslin sewn bag, and can be used to store the kit or all the paper clippings! 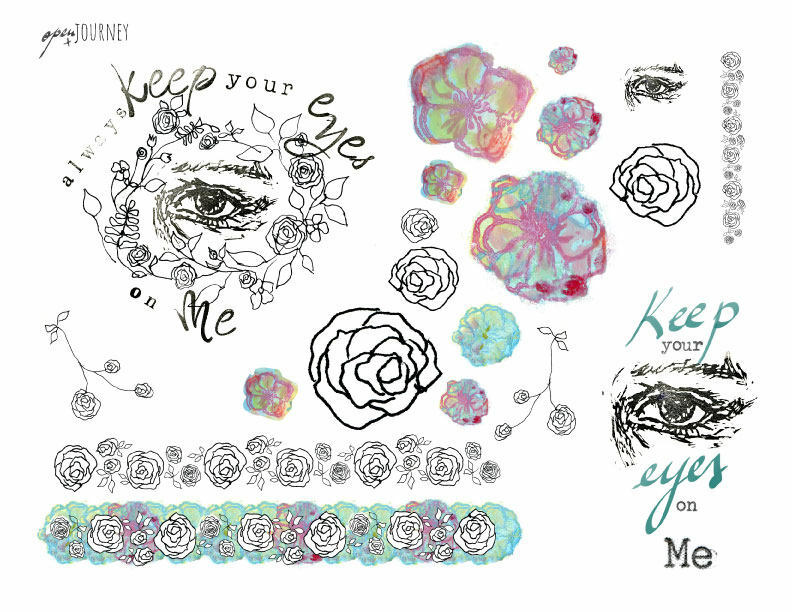 For any questions you might have regarding this creative kit, please feel free to contact me. 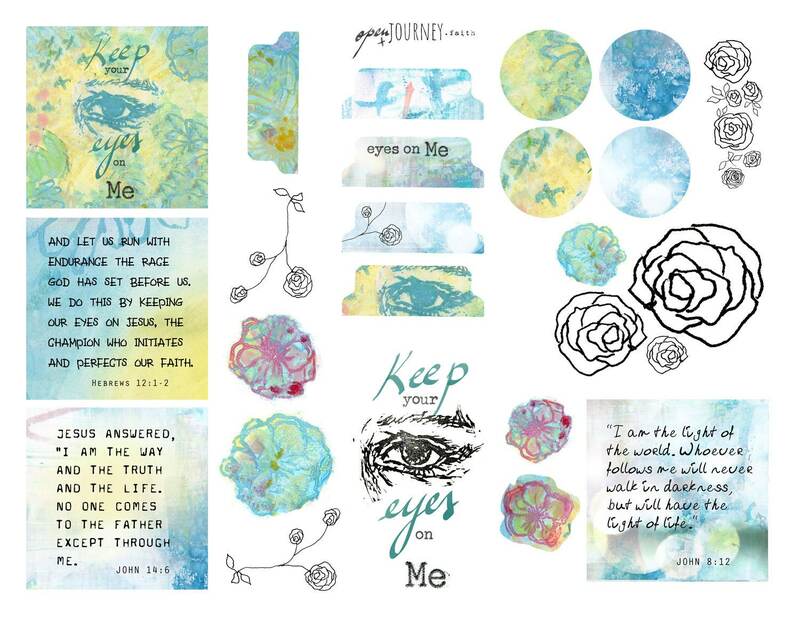 The creative Bible journaling kit is also available as digital download - you can find it in the Digital Downloads section.